There are various interpretations of what the flag of Russia is designed to symbolize. The three colors of the flag – red, white and blue – through the years have been said to represent different traits. While there is no official ruling on what the flag is designed to represent, there is a popular consensus among Russia’s people. It is believed by many that the color white stands for frankness and nobility. Russians believe that the blue stands for many things, including faithfulness, chastity and honesty. The red is believed to represent love, courage and generosity. The tricolor flag used by Russia today was first used in 1705. 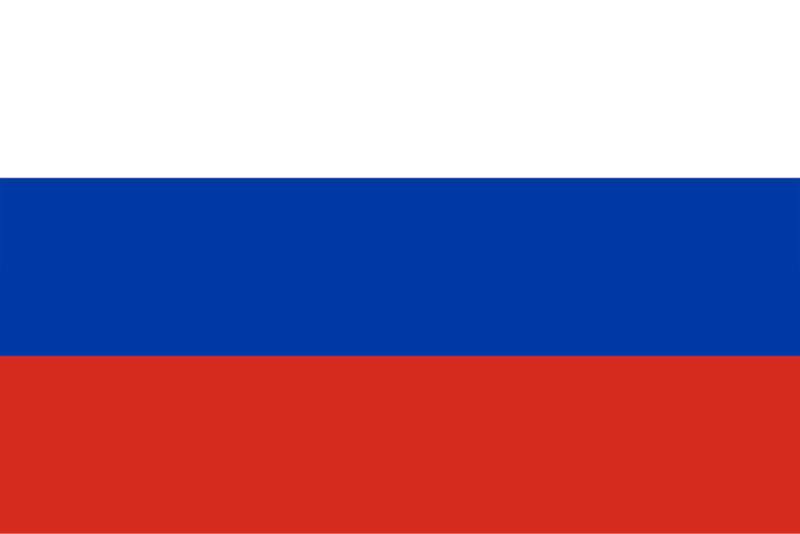 It was used as a merchant flag and the colors were used to represent the importance of God (white), the king (blue) and the people of Russia (red). It wasn’t until 1883 when the flag was authorized for land use. In 1896, it was designated as the national flag. The flag was used until the Russian Socialist Federative Soviet Republic (or the Soviet Union) was formed in 1917. During this time, the national flag was changed to a new design featuring a bright red field with a hammer, sickle and red star. This flag was in use until the Soviet Union was dissolved in 1991. After the dissolution of the Soviet Union, a flag was used that featured a 1:2 ratio – a flag that was used prior to the revolution. However, the tricolor flag was restored in 1993 and has been in use ever since. The first flag of Russia was believed to first be in use in 1668. Since that time, there have been multiple variants. Russia’s president uses a variant flag, which features the same tricolor design with the coat of arms in the middle. This flag has been in use since 1994. National flag day is celebrated in Russia on August 22. The holiday was established in 1994. The constitutional crisis of 1993 was a driving force behind bringing back the tricolor flag that is used today.